With a stay at The Read House , you'll be centrally located in Chattanooga, steps from Tivoli Theatre and 12 minutes by foot from Chattanooga Riverfront. This hotel is 0.6 mi (1 km) from Tennessee Aquarium and 0.4 mi (0.6 km) from Chattanooga Convention Center. Make yourself at home in one of the 235 air-conditioned guestrooms. Complimentary wireless Internet access keeps you connected, and satellite programming is available for your entertainment. Conveniences include complimentary weekday newspapers and coffee/tea makers, as well as phones with free local calls. Enjoy recreational amenities such as an indoor pool and a fitness center. This hotel also features complimentary wireless Internet access, concierge services, and wedding services. Guests can get around on the complimentary shuttle, which operates within 3 mi. Featured amenities include express check-out, complimentary newspapers in the lobby, and dry cleaning/laundry services. Planning an event in Chattanooga? This hotel has facilities measuring 19000 square feet (1765 square meters), including conference space. 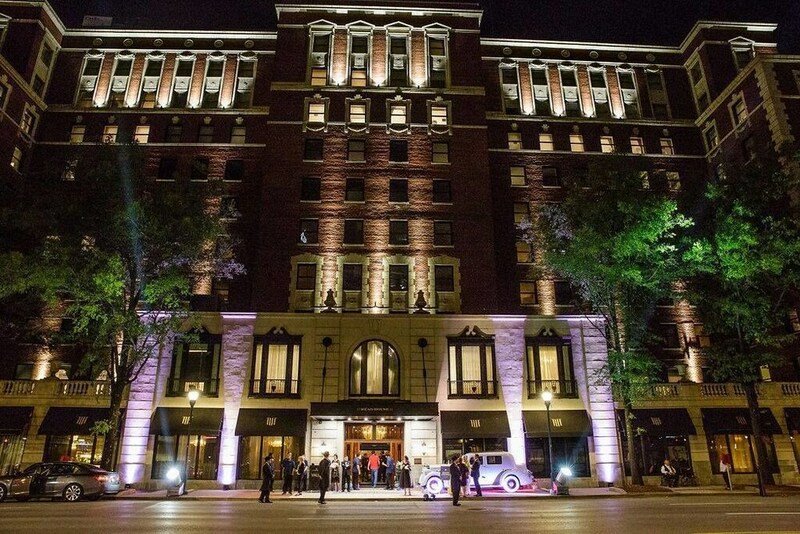 Dating from the 1920s, this renovated nationally registered historic hotel showcases unique architectural details and provides a downtown location one block from the Chattanooga Convention Center. The Tennessee River and many city attractions are within a mile. Starbucks, with indoor seating, offers casual ambience. Wireless Internet access is complimentary throughout the property. Numerous recreational activities are available in the Chattanooga Area. The Tennessee River, 9 blocks from the hotel, features hiking trails and riverboat cruises. The Ocoee River and Tennessee River gorge offer mountain biking, rock climbing, and white-water rafting. Moccasin Bend Golf Club, open to the public, is 3.5 miles away. Pool access available from 6:00 AM to 11:00 PM.The property has connecting/adjoining rooms, which are subject to availability and can be requested by contacting the property using the number on the booking confirmation.